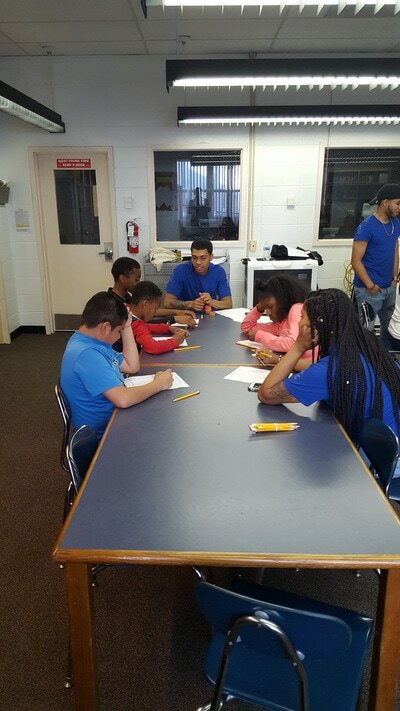 Stockton University students from Lambda Theta Alpha Sorority and Lambda Theta Psi fraternity ( Royal Blue shirts) tutoring youth from Atlantic City who attend the city's after-school program at Chelsea Heights. We at Mad About Science,Inc. have started a tutoring program to assist students with homework and building foundation skills needed for academic success. *Notice that the college students are implementing a Brain Based strategy (Play-dough) where the kids switch brain-side usage between drills so that neural pathways can start to develop which improves memory. *Program made possible by the generous donation of South Jersey Gas Industries. 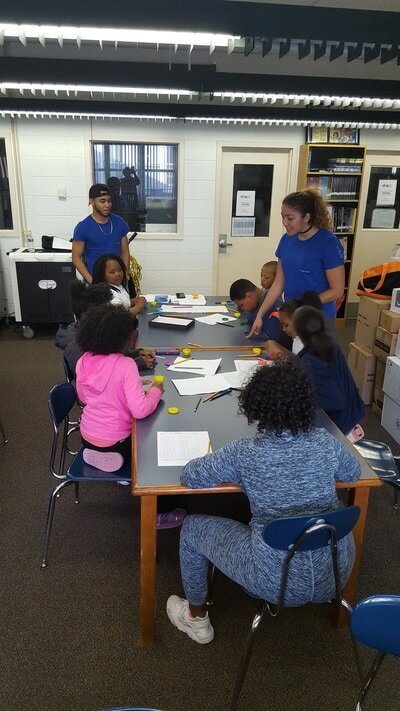 The Police Athletic League Explorers and members of the PAL participated in an after-school program twice per week where they learned block coding using Ozobots. The students in grades 4-8 were challenged to solve problems using coding. The Explorers were introduced to Forensic Science by learning about the science behind blood typing and solving a crime based solely on "blood" left at the crime scene.